There's nothing like summer in New England. Vermont and New Hampshire have the lushest green leaves you'll ever see, especially if it's been a rainy summer. 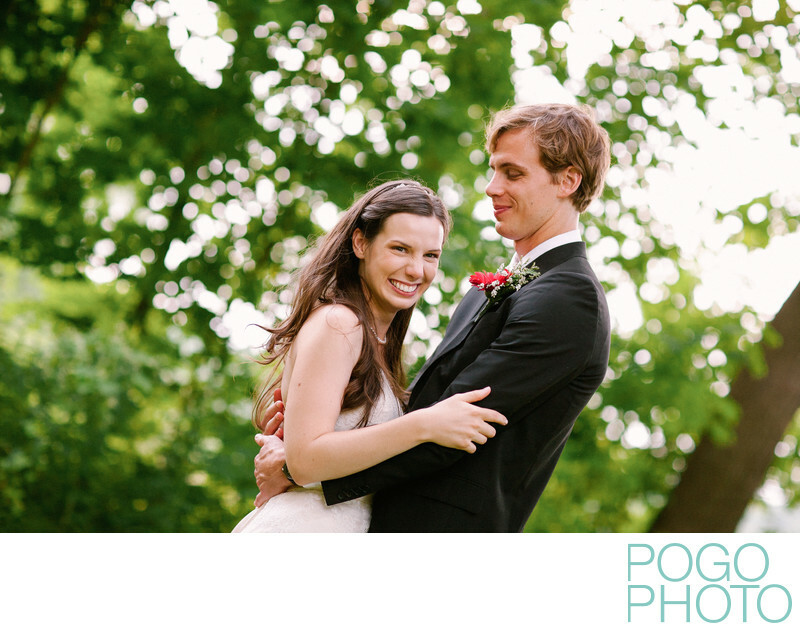 Molly and Gordon's wedding at Dowds' Country Inn in Lyme was a quintessential country wedding, with the ceremony on the lower back lawn before a picturesque pond, and guests dined and danced the night away in the lower level of an old converted barn. Dowds' is a special place for a wedding; we actually considered it for our own wedding, but by the time we were picking dates we were too late! They had booked up all of the dates we wanted. Family owned and operated for many generations, Dowds' Country Inn is a mainstay on the green in Lyme, steps away from several small restaurants, shops, a country store, and the church at the head of the green. A quick drive over the Connecticut River boundary to Vermont puts you in East Thetford, where you’ll find a couple of additional stores and places to eat, and a charming self-pick farm where you can purchase fresh fruits and veggies already picked for you, or pick your own if you’re feeling like working for your food. Back in Lyme you can find secluded areas no matter where you go in town; it’s the epitome of a small New England town, similar to tiny towns all over Vermont and New Hampshire. The remote location and perfectly personal details reflected their wedding desires exactly, as evidenced by the ear splitting grin on her face. Location: Dowds' Country Inn, Lyme, New Hampshire. 1/400; f/2.0; ISO 400; 85.0 mm.